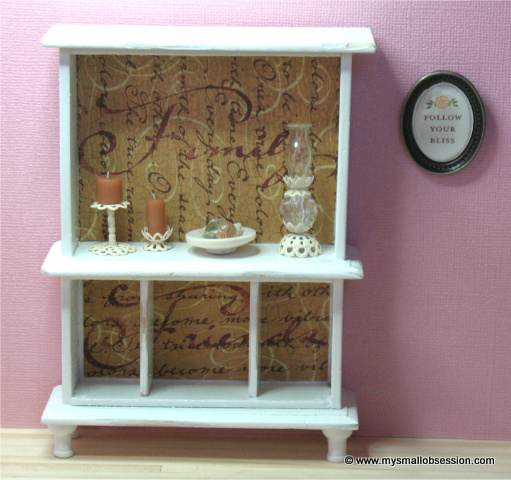 This section is dedicated to showing off the miniature swaps I make and receive from my swap buddies! Click on photos to enlarge & view description. Swapping is a great way to get some fabulous, one of a kind miniatures! One of the perks of being connected to so many miniaturists online is the ability to trade skills, inspiration and beautiful, handcrafted miniatures! Participating in a Swap is also a great way to try out new skills and techniques. 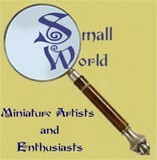 There are quite a few online miniatures groups that participate in swaps. Every group has their own rules and their own way of running things, but the basics are pretty much the same. One of the groups I belong to chooses an entire year of themes. I like knowing what each theme is in advance, that way I can work on whatever swaps I happen to have an idea for at the moment.